Though neither Deb nor I are really into cars, we went, since it is so near where we live. 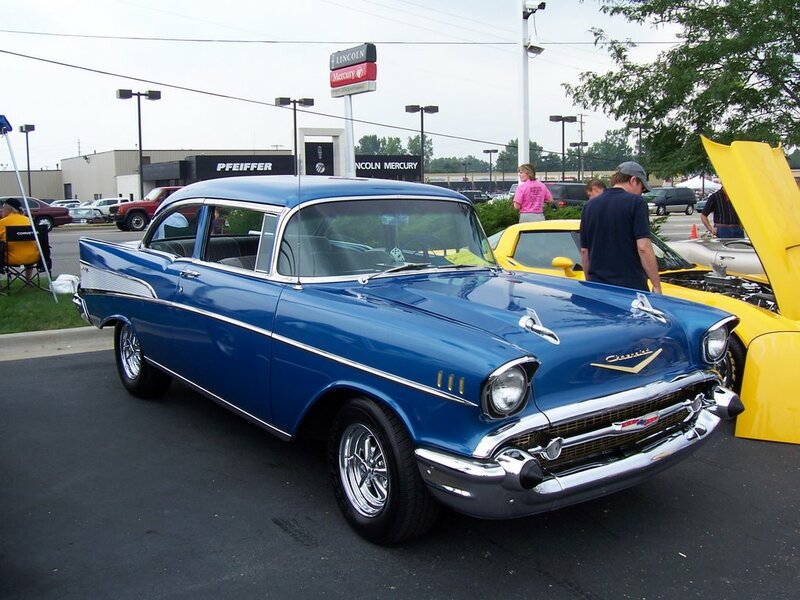 Some of those old cars, inside and out, (under the hood) looked like they just rolled off the assembly line. And the cars on 28th street, putting out the exhaust with the loud roar of their pistons- and burning rubber, just like the good "ole" days. 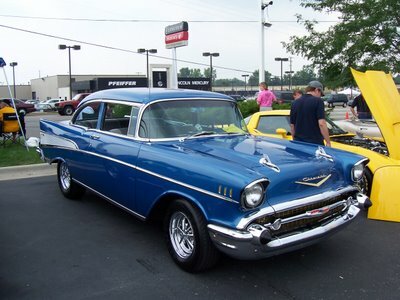 I took a number of pictures of 1957 Chevrolets---some gorgeous (like the one on the blog) and some ho-hum. But the body design is classic. Who wouldn't love having that piece of history! I want to own a piece of this history so bad....!